To enter your guild’s quilt, please download and print out the entry form. Fill out the form as usual and note the preference for a one, two or three day space. Fill out all that is applicable and add any questions you might have and send in with deposit. Someone will call to answer any questions or we will call if we have any questions. 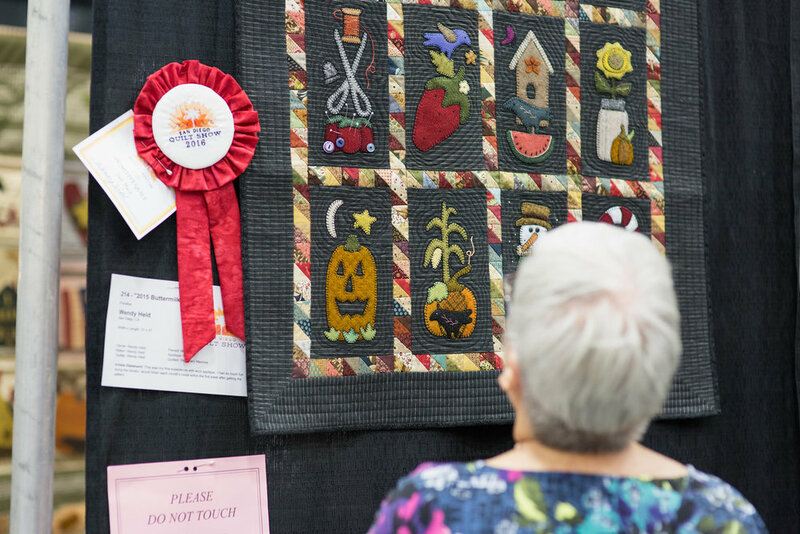 The guild will bring their quilt to the show, furnish their own quilt hangers, and will hang the quilt 20 minutes before the show opens on the day they are assigned, and take down the quilt at the end of the day or days they were assigned. We will reserve spaces for the quilts that want to hang for 3 days, and reserve space to be given daily to the one or two day hangings, on a first-come reservation request.